Following the ForzaRC Pro-Am Challenge from last month, the ForzaRC August Bounty Hunter Challenge has arrived into Forza Motorsport 7! 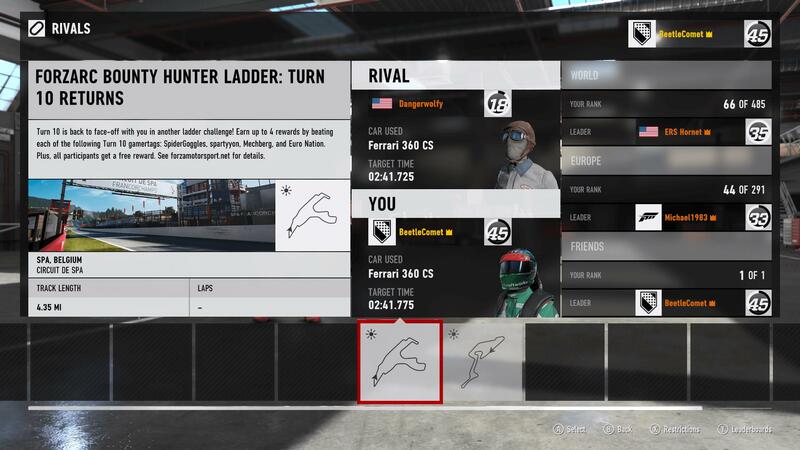 This one is yet another ForzaRC-themed ladder challenge, featuring four employees from Turn 10 Studios taking part in the event – with plenty of rewards to unlock if you beat their times. This month’s Bounty Hunter targets include Shay (GT: Spartyyon), Kari (GT: SpiderGoggles), Aaron (GT: Euro Nation), and Forza Community Manager Brian Ekberg (GT: Mechberg). You’ll get to chance to meet all four of them on today’s special Bounty Hunter edition of ‘Forza Friday’ over on Mixer and Twitch. Tune in to the show from 3pm Pacific (6pm Eastern, 11pm BST). During the broadcast, Turn 10’s Brian Ekberg will chat to each of the participants, who will then pick their player rewards before they hit the track to set their initial lap times. 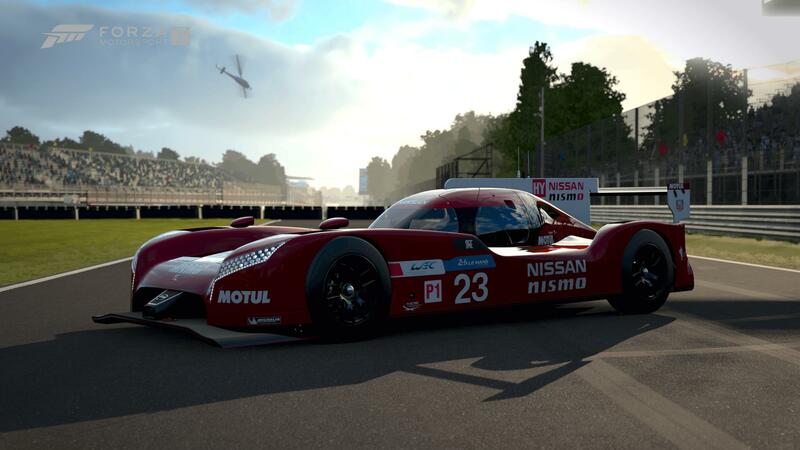 To participate in this event, head to the ForzaRC section within Rivals. The hot-lap challenge takes place on the iconic Circuit de-Spa Francorchamps in Belgium, ahead of this weekend’s Belgian Grand Prix in Formula 1. It’s a 4.35-mile course and on it, you’ll be driving the Ferrari 2003 Ferrari 360 Challenge Stradale under daylight conditions. As you work to improve your times in the latest Bounty Hunter Rivals event, be sure to watch the leaderboard replays from some of the top drivers in Forza Motorsport 7. You can access these by navigating to the relevant event leaderboard, filtering the list by ‘Top Scores,’ and then downloading the replays of the best drivers. Watching replays from professional Forza drivers can not only improve your overall skill and knowledge of the car and track combo, but it can also help with your braking, steering, and racing line – as well as figuring out the best assists to use in the event. Despite its name, the ForzaRC August Bounty Hunter Ladder Challenge will be available for the rest of the month in Forza Motorsport 7 and continues into September. Stay tuned to future editions of the Forza Motorsport Week in Review for details on the latest lap times from the four selected Turn 10 employees – and be sure to set your own time in the event today under the Rivals menu in Forza Motorsport 7. Best of luck to all participants, we’ll see you out on the track!